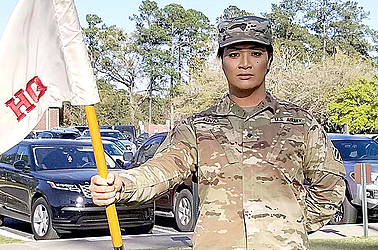 The battle of being a transwoman sworn to serve in the U.S. Army was a challenge for Arrianna Princess Haserota Auva’a. S.P.C. Auva’a is from Vaoala, Falealupo and Malaeloa in American Samoa. Auva’a is based in Fort Stewart Georgia, South Carolina. 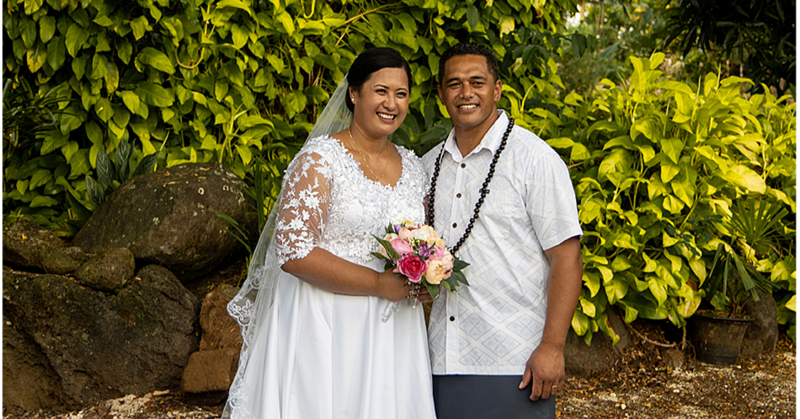 She told the Samoa Observer via email that her only goal since the day she swore into the army was her determination to make a difference. “The sacrifice for me was torture,” S.P.C. Auva’a shared of her experience. “I lived my life as a transwoman for more than 10 years, and then the first day of reception in Fort Jackson, South Carolina, in one swivel of the silver chair, all that changed. “I saw myself in the mirror for the first time that night in the men’s latrine full of male soldiers and I was bald. I felt tears welling in my eyes, but I fought them back as hard as I could. S.P.C. Auva’a noted when all the lights were out; she crept into the bathroom and went into the farthest stall. “I turned around one last time and looked into the mirror facing me and saw myself again, tears fell hitting the cold tiles of the shower stall. “One after another, the tears came until I found myself weeping on the cold blue tiles of the bathroom floor. 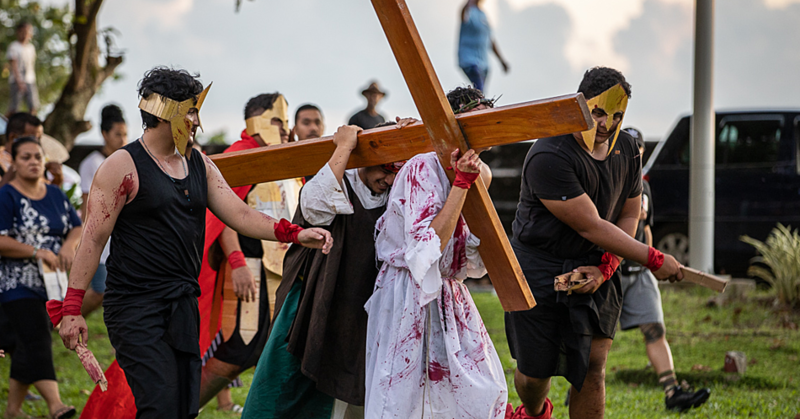 “Living my life as Princess, a pageant queen, a radio personality, a passionate writer, an actress in the Samoan Motion pictures, a life of a party to the theatrical beauty of the stage and the voice representing the trans community, to being a bald and I say it as I saw, I was ugly. “In my eyes, I was ugly for the first time ever in my life. I saw nothing beautiful in my reflection. S.P.C. Auva’a also spoke about her transitional journey in the army. “Being the first to transition in the 3rd I.D, my care team of doctors, advisors, counselors, and Command team kept referring to me as the trailblazer. “When I first arrived to Stewart, I went straight to my first line Supervisor and told him, I needed to speak with my Command team, because I am transgender and I need to know the path that I need to take to transition. the fear of the reactions and how people might treat me and how they will react to me, as a person, a soldier, as a trans person only trying to live her truth, I braved it through and came out to my Command team. “The transition was scary, long but worth every minute. According to S.P.C. Auva’a, the hardest part of this transition wasn’t going through the hormone therapy or any of the chemical, spiritual or physical changes. “It’s the mental stability that one has to deal with - the everyday life. “People in the army were so used to seeing me as a male soldier with feminine ways or a gay male soldier. “Now that I am allowed to dress as a transwoman and adhere to the females grooming standards according to army regulations, my peers and leadership are starting to see the changes. “It’s the looks that I get on a daily basis that I cannot handle sometimes. “Those who I have worked with and those who I know have come to somewhat understand what being a Trans person is. “I see people snickering among themselves. I feel the gossip following me and the mockery that stab at my side and back each and every day. “The pain of this I cannot begin to explain. Some days, I am embarrassed. Other days, I don’t want to leave my home. There are days when I don’t leave the safety and the comfort of my company office. “I don’t even go out most days for lunch unless I am going home or going with a group of people because I cannot face those looks, the stares, the snickering behind my back and the finger pointing. “Most days I feel more protected in my car and in my home or to enjoy my lunch in my office than to face the cruelty of the world. “There are days though where I am brave enough to face the music and fight the looks and the stares of people and just gallivant around post and the surrounding towns with my hair on and short shorts with a challenging attitude for anyone to try me, because my ‘fa’afafine tongue’ is ready to lash out with a big smile as I prance to and from,” said S.P.C. Auva’a. Last week on the International Women’s Day, S.P.C. Auva’a celebrates in gratitude as the leader and command team a day to remember in all the years that will come. “Today, on the 8th of March, 2018, I officially serve in the United States Army as a female soldier, Arrianna Princess Haserota Auva’a. “The struggle has been real and no doubt the toughest I have ever had to endure. “However, I am grateful that I had to take on this journey. I have grown as a person. “I have overcome so many fears I had. I have lived my life in a way that I can proudly say ‘I did it’, not just for me, but for my Samoan and Polynesian Trans sisters everywhere. “I encourage anyone and everyone out there, whether gay, straight, or bi, it does not matter what your sexual identity is. “It doesn’t matter what your gender identity is, nor your race, or religion, or how you were raised and who your parents are. “Life is meant to be lived in your truth. Life is exciting with little challenge and it’s adventurous when you take risks. “When we hide in the shadow of doubt and fear, we will never see the beauty of light and the love of the days ahead. “I am living my truth and by doing so, I am seeing the beauty and love of people - understanding people. “I have had numerous people protect me, befriend me and love me for who I am. 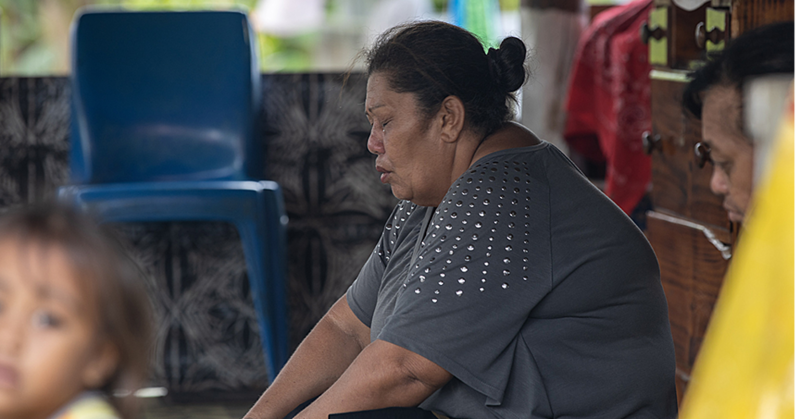 “To my young fa’afafine sisters and fa’atama brothers, the world is a beautiful place. “There’s a shadow of darkness that is hovering over us, but we must fight alongside our brothers and sisters who want to make a difference in the world. “Whatever light that you see in yourself, let it shine brightly to cast out the shadow of doubt and hate. “Live your truth and live it beautifully. “There is so much more to life than living the norm. “We all, at some point in our lives, must take a risk and just jump into the unknown with hope, faith, and the determination to come through winning. “I cannot thank God enough for all he has out me through, for that I am grateful because He is faithful,” said S.P.C. Auva’a. Auva’a thanked all those who helped in the difficult journey.